Taking your bike into the shop filthy is the biggest no-no in mechanic bike owner etiquette. Giving your bike a proper cleaning before bringing it in will make your mechanics work easier and much more pleasant. They will be able to better diagnose the problem on the spot and proceed to fix it without having to clean your bike themselves which will also save you a bit of money. 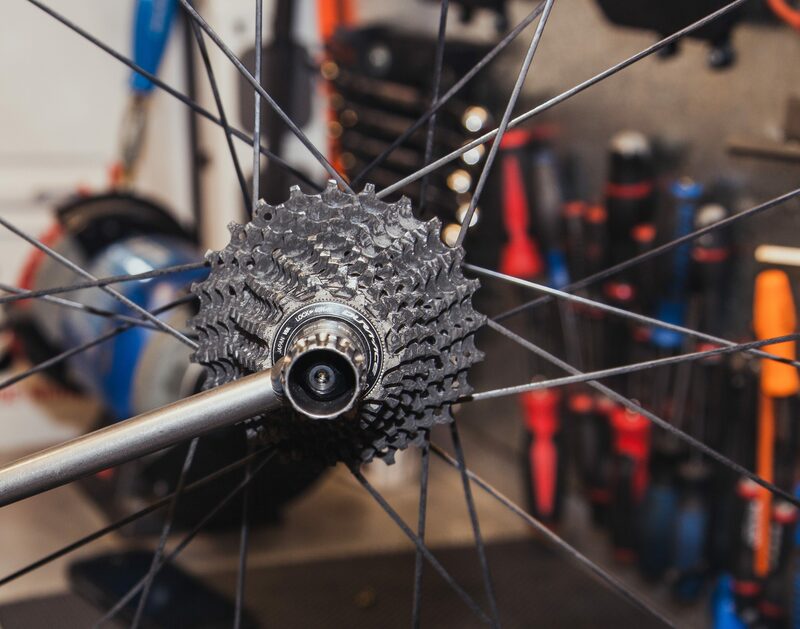 If you are bringing your bike to an experienced bike mechanic chances are they have seen the problem before and your five minutes of research doesn’t pale in comparison to the years of experience they have accumulated. Don’t proceed to be an expert on the problem, let the mechanic do the diagnosis and decide the best course of action. That is after all why you brought them the bike. Maybe you could even learn something from them. When you are in the shop think about purchasing a couple of spare tubes or accessories you need instead of doing it online. Supporting the business can go a long way to building goodwill especially if you turn to online retailers for most of your bike parts. Your mechanic will notice when there are new parts on your bike that didn’t come from their shop so the least you can do is support their business in other ways. Nobody likes it when a big task ends up on their desk at the end of the workday and such is true for bike mechanis as well who during spring are already pulling long days because of the influx of bikes. Going into a shop at the very end of the day is sometimes unavoidable when you are rushing home from the office but if you can avoid keeping the folks at the shop at work for any longer. If you do bring your bike in at the end of the day don’t then go demanding to have it back on an unrealistic timeline because you need by the weekend. To build a strong relationship with your mechanic who you rely on to take care of your precious ride, it’s worth considering ways in which to give them an extra thanks. A couple of beers or another treat for the folks at the shop and just being nice can go a long way to getting better service and making the experience more enjoyable for everyone. While you may think only your chain needs to be replaced, if you haven’t don’t it frequently enough don’t be argumentative when they tell you your cassette and chainrings have also been worn down. If you bike is two years old and you’ve never changed the shifter cables those will also need to be replaced. While regular maintanence can get ahead of the extra work, don’t complain to the mechanic when he informs you your bike needs more attention because of your neglect. Give your shop as much time as possible to turn around your bike instead of rushing them to have it back to you. Spring is the busiest time of year so if you left bringing your bike to the shop until now, don’t expect to have it back right away especially if it’s a big job. Being stuck up, entitled and impolite are all great ways to guarantee your bike will end up at the end of the queue at the shop. This is especially true during high season when you can be sure you aren’t the only one making such demands. Instead be polite and find out what the wait is looking like. Nicely explain your timeline and be extra nice in seeing if there’s anyway to get your bike back sooner. A six pack couldn’t hurt. Beers really? Although a number of riders and shop personnel do associate beer and bicycling going hand in hand not everyone feels the same. I know a mechanic that had five cases of beer that he received a six pack at a time in a summer as tips. It sat there in his basement as he does not drink beer. Baked goods no I certainly don’t need anymore of those either. As anyone who has ever worked in a shop knows the pay is not that great and there are rarely tangible benefits like healthcare if you live in the U.S. If you want to show appreciation thank them and tip them in cash.